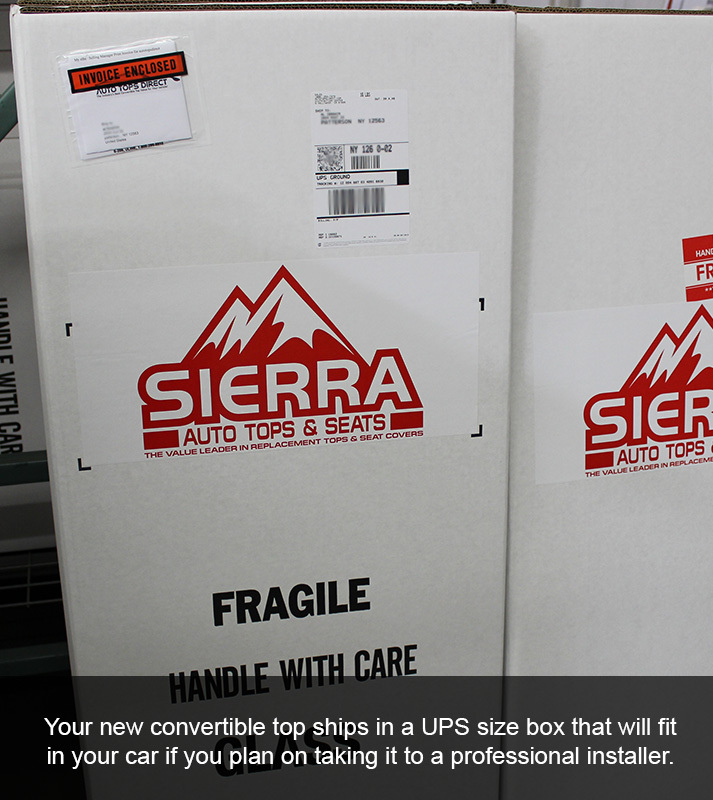 This Auto Tops Direct convertible top has been designed and manufactured to be the best aftermarket product available for your vehicle. We will ship directly to your doorstep via UPS Ground, 3 Day, or Next Day Air. Check shipping cost options before you checkout by adding the item to the cart, then entering your state and zip code. Everything looked of the highest quality. I thought I could install myself but there were no instructions or videos online. So I paid another $550 for a pro to do it. Luckily, you guys have great links to resources on your website for that. I also wished there were tint options for the rear glass. Now I have to figure that out too.